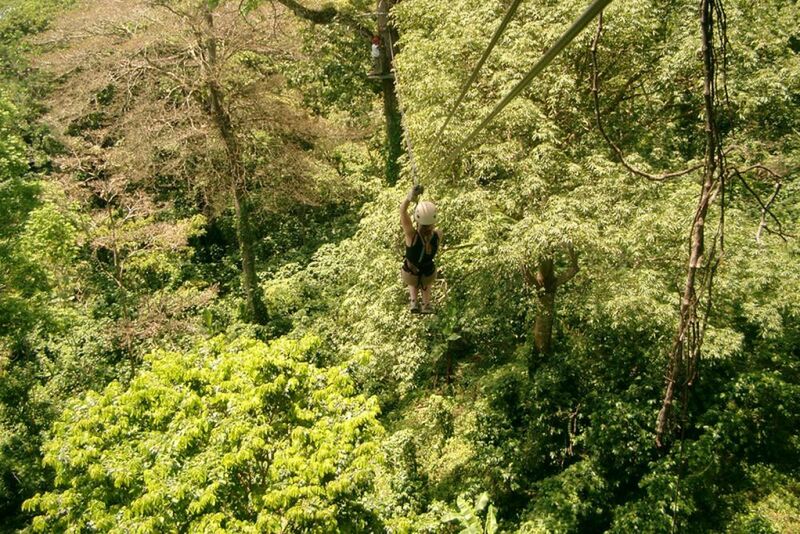 Start ziplining and fly from one tree to another. Pure adrenaline! Feel free as a bird as you swing from platform to platform. 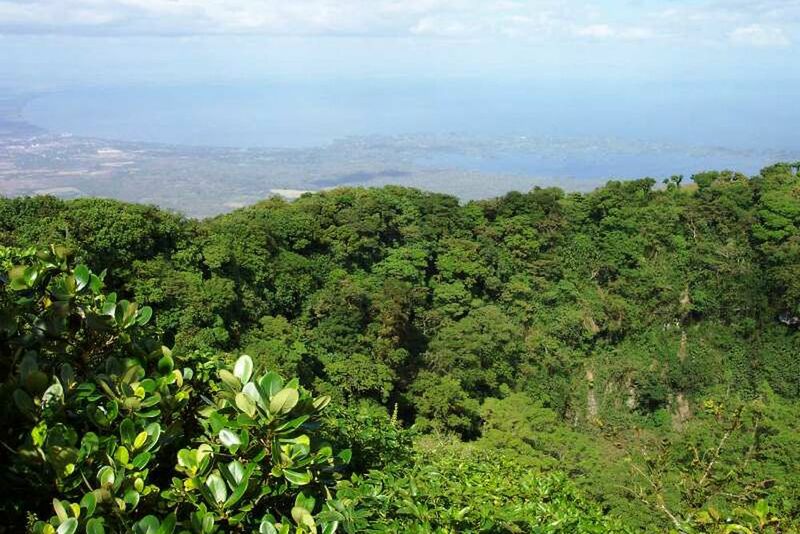 Green nature,, a beautifully landscaped horizon and the region around the island of Ometepe. Use Lookout to observe the impressive panorama. Are you adventurous? Would you like to explore the surroundings of the active Mombacho volcano? Then come with us on this discovery tour of the volcano, where you will walk along the paths into the mystical cloud forest and get really close to the volcano. 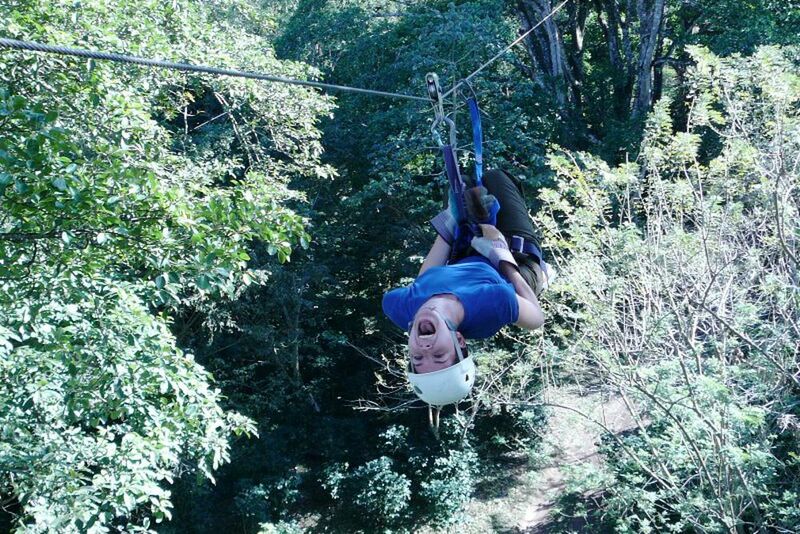 If that's not enough adventure for you, look forward to ziplining from one treetop to the next. 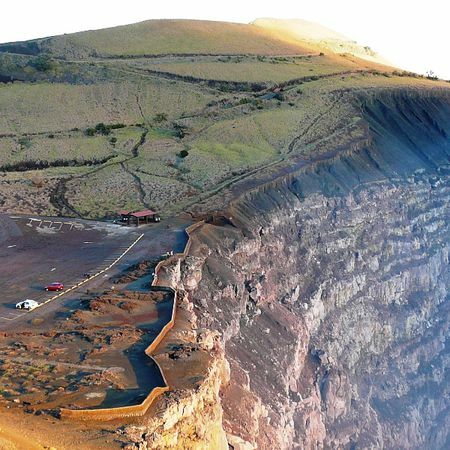 For this exciting day trip, you will be picked up from the transfer that will take you to today's destination: the Mombacho Volcano. Already on the way there you will marvel at the incredible landscape and how the vegetation on the way changes. At the foot of the volcano, we will meet the park guards and change vehicles, for a mountain drive requires a four-wheel vehicle. Now you will start your adventure. On the paved road you will pass the biodiversity of this nature reserve, surrounded by lush vegetation and breathtaking views. Keep on plodding up the path and you will begin to understand why this ecosystem is referred to as a cloud forest. Dense wafts of mist mystically wander through the forests, enveloping the region in a very special atmosphere. The park guards provide you with interesting background information and give you a briefing so that you can walk safely through the park. The trails will take you along the volcano for nearly two hours through the cool climate of the forest, providing you with many exciting insights into the flora and fauna as well as the culture of the former inhabitants who once lived here. Listen closely to what the guards know about the volcanoes and satiate your curiosity with as many questions as you please. 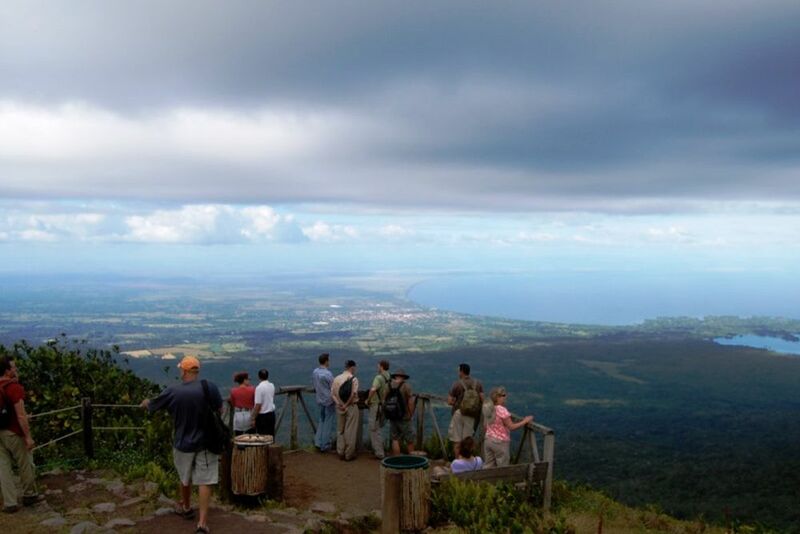 If you're lucky, you'll catch a clear day so that you can visit the imposing Lookout overlooking Nicaragua's Pacific Ocean, the neighboring city of Granada and the great lakes and islands. It is the perfect moment to take beautiful panoramic shots. After this exciting hike, you will arrive at the biological station - where you will get a fortifying coffee before the adventurous zipline tour starts. Trained employees will help you make the necessary backups so that you are ready for the next exciting task. At the starting point, you will receive a few final introductions and safety tips to help you get safely from one tree to another in Nicaragua's most exciting experience. Canopy is an English word that describes the treetops over which you will be floating within minutes. Glide on ropes from one platform to the next, attached to the giant trees, several feet high. Throughout the course you will be accompanied to ensure your safety and fully enjoy this experience. The unbelievable views and unique nature will amaze you while adrenaline flows through your veins before every swing. Hover from one tree to the next and see what passes underneath you. At the end of this exciting tour, the guide will take you back to the vehicle, which will drive you back to the foot of the mountain. You can only experience this seething volcano from up close with us.